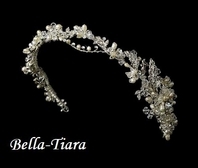 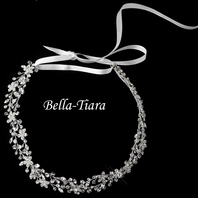 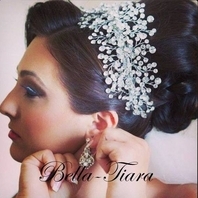 Description: This enchanting floral headband features two side-set freshwater pearl and swarovski crystal flowers. 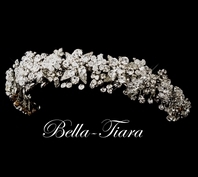 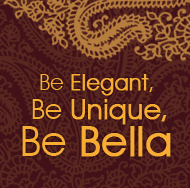 Rhinestones sit at the center of the flowers and dazzle along the rest of the double band. 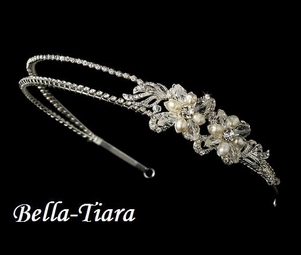 The decorated portion of the band measures 11" wide and 1" tall at its highest point.